In an effort to avoid predators, ghost crabs in the Solomon Islands seek out natural surroundings that match their color, according to a new University of Miami study. Crabs with dark coloration choose dark sand while light-colored crabs choose light-colored sand, the study found. Crabs of intermediate color show no specific choice since they did not match either sand, the researchers discovered. In a process called crypsis, the color patterns of some animals evolve to match the visual background. Less is known, however, about behavioral traits that also evolve and serve to enhance crypsis, the study said. 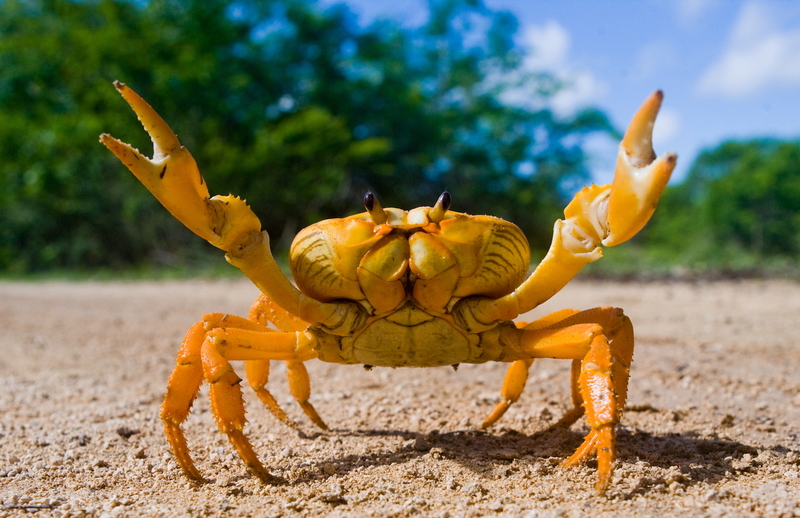 The Solomon Islands were chosen for the study because the sand and the crabs are multi-colored. “Our results suggest that potential prey can actively choose specific backgrounds to enhance and maintain crypsis, providing insights into how behavior interacts with morphological traits to avoid predator detection,” the study said.